​​Manchester United manager Jose Mourinho has played down any concerns over Anthony Martial after the Frenchman limped out of ​the Red Devils' 2-2 draw against Arsenal at Old Trafford. The 23-year-old pulled up after scoring his eighth goal of the season after 63 minutes. But after the game, Mourinho has revealed that Martial was simply withdrawn as a precaution. As reported by ​Standard Sport, after the game, Mourinho spoke about Martial's condition and said, "He (Martial) doesn't think it was an injury - it was feeling tight." Keeping Martial fit is one major priority for Mourinho considering Alexis Sanchez is ruled out until the end of this month and also the fact that the French forward has been one of the very few United players in blistering form off late. 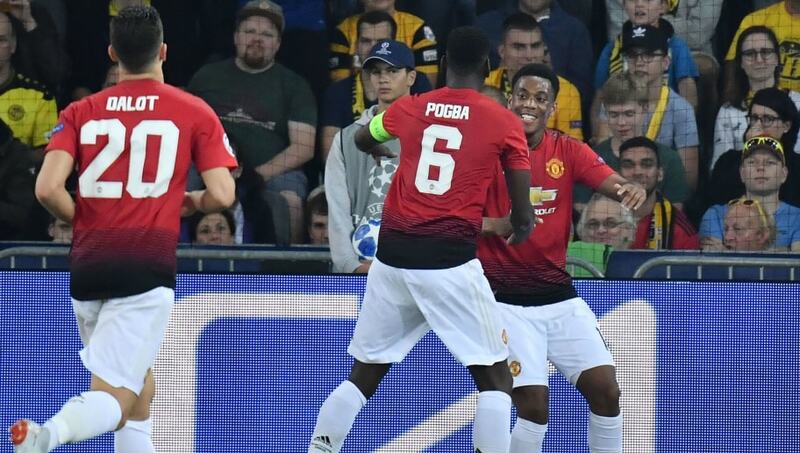 Mourinho was then asked about Pogba's 15-minute cameo against the Gunners and the coach praised his midfield general as he said, "I think Paul came on and gave a good contribution and brought freshness and power and different qualities to the attacking players." The Portuguese manager also reserved particular praise for new signing Diogo Dalot, who made his career's first Premier League start for United against Arsenal.